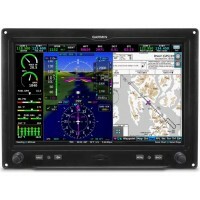 Garmin's G3X Touch Flight Display system is now certified for hundreds of GA piston aircraft. This is a real Game Changer. Get what you need at a price you can afford. The G3X Touch offers a variety of scalable panel configurations and a superior feature set that includes wireless connectivity and synthetic vision as standard, as well as options such as display redundancy, advanced autopilot compatibility, engine monitoring and more. The Federal Aviation Administration (FAA) has granted Supplemental Type Certificate (STC) approval for the installation of G3X Touch in nearly 500 certified single-engine piston aircraft.